I go all out for Easter. 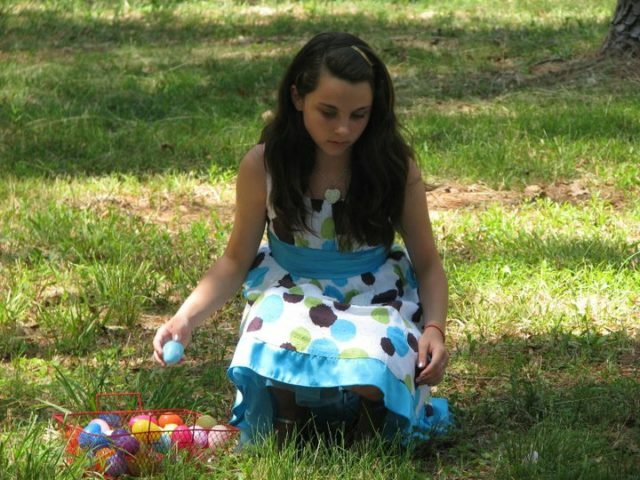 It’s one of my favorite times to get the family together for dinner, Easter egg hunts, laughter, and fun. We have a blast. This is the time of year when I decide which gift baskets I’m going to give for Easter. I usually focus more on the kids but I do like to buy gift baskets for others as well and I like sites that offer something for everyone. I’m all about making memories especially the older I get. I want to instill family traditions in the kids so when they have their own kids, they pass these along. How many of you love getting and giving gift baskets for Easter (and any time of the year)? I have my hand raised to that question. Gift baskets from gourmetgiftbaskets.com provide the best gourmet gift baskets and I was so excited to see that they’re gearing up for Easter with new hatchlings; gift basket hatchlings that is. 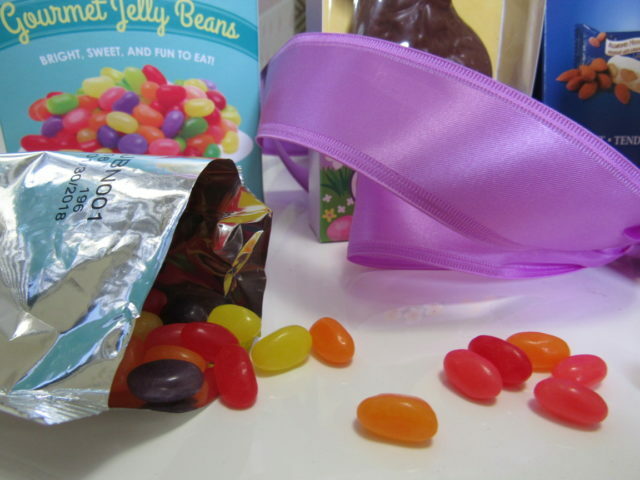 Just in time for Easter, they have traditional Easter goodies like gooey marshmallow Peeps, classic jelly beans, and more. I decided to see what all is in one of their new Easter baskets and I scored big. 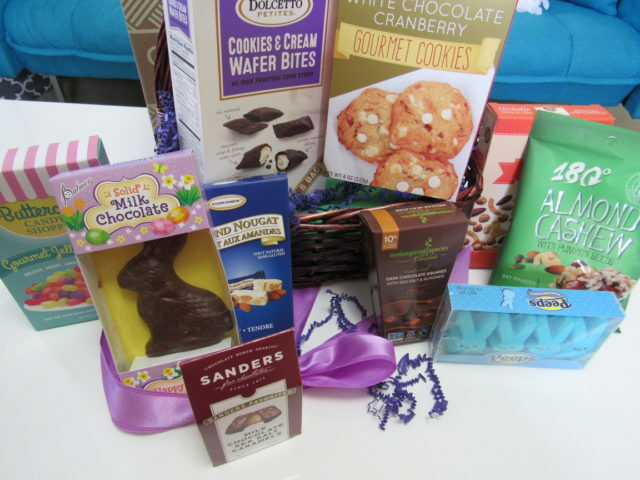 The Easter Sweets & Treats Basket has everything I love including my favorite treat to gift and purchase for myself. Yes, now you know my secret, I buy myself Easter goodies. 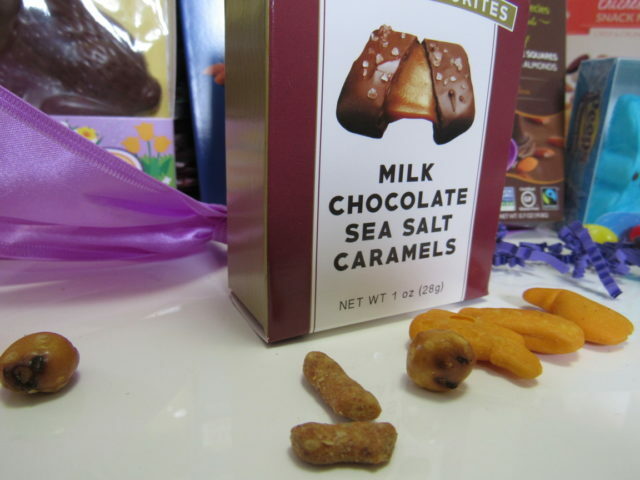 Not only does it have a Solid Milk Chocolate Bunny by Palmer, it has the following Easter goodies as well. 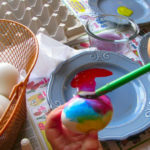 By putting my trust in their baskets, that gives me more time to plan my dinner and put together activities so we’ll have an Easter to remember. WHEW! That’s a whole lot of goodies for a very special recipient. As if this wasn’t special enough, the goodies come in a beautiful Easter basket complete with handle and ribbon. PLUS you could get it as early as tomorrow if you order now. 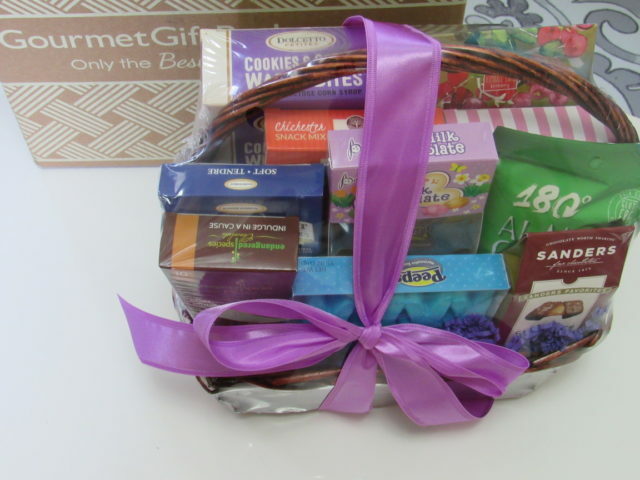 Before I share more photos, let me share a little bit about Gift Baskets by GourmetGiftBaskets.com. 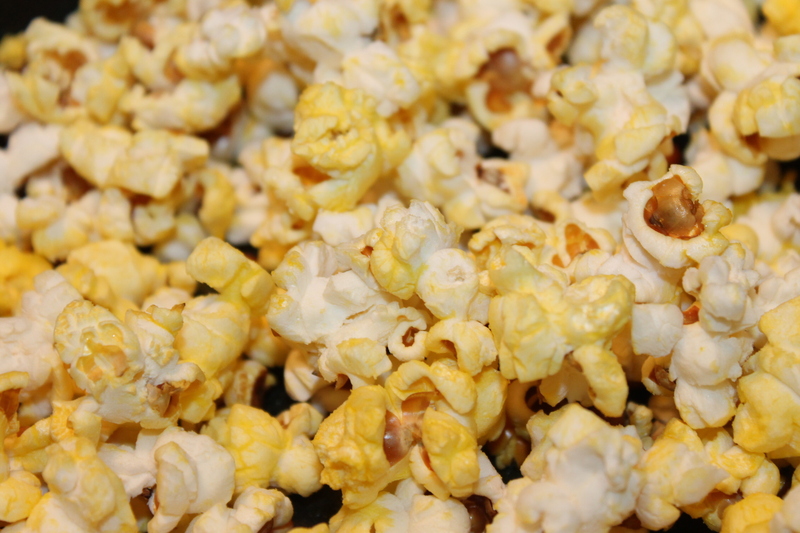 What makes them stand out are their quality ingredients. I would rather spend a little more for quality ingredients than spend a little less for less than best. They offer top notch customer service. I order 80% to 90% of everything I buy, online. I like ordering from companies who have the best customer service. Because sometimes things happen. When that happens, I like knowing that I can get my issues resolved. 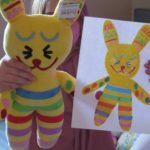 This company was started by 2 family members and has exploded into a nationally recognized gift brand that remains true to its roots. 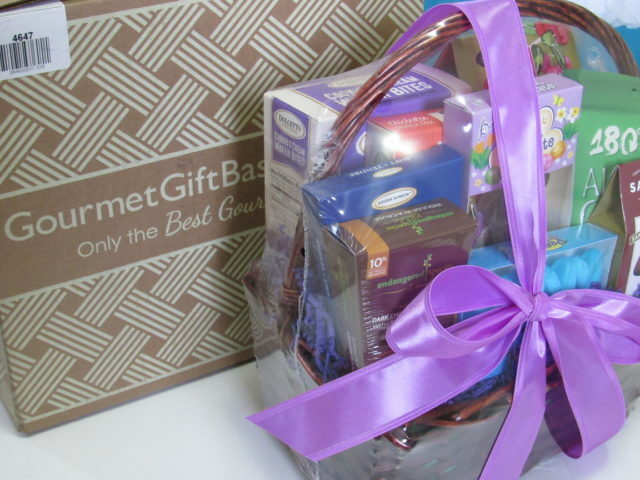 GourmetGiftBaskets.com provide more than just Easter gift baskets, they have multiple goody choices for everyone on your Easter gift giving list. Follow along socially: Facebook, Twitter, Pinterest, Instagram. This gift baskets are so cute! 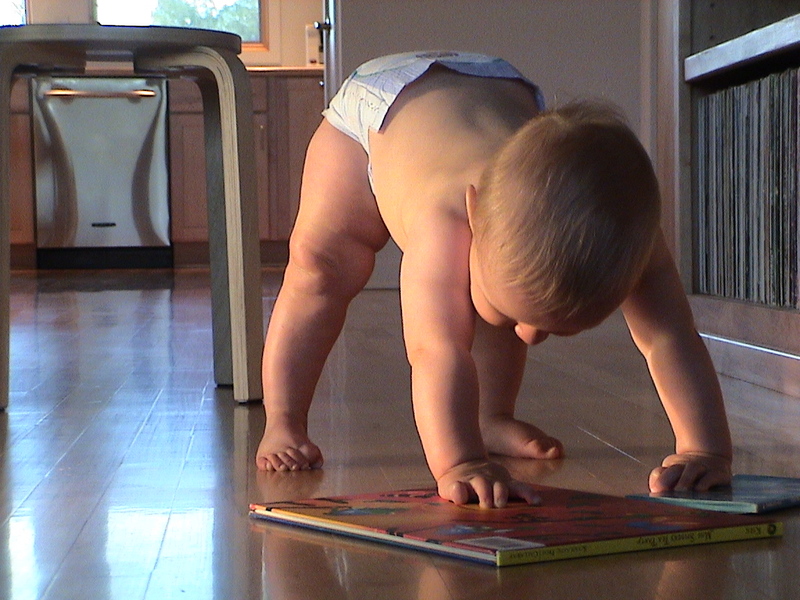 I love the way they turned out – and your pictures are so sweet! I love Easter, but we always have so much snow that we end up doing our Easter egg hunt inside the house. I like the idea of giving Easter baskets! 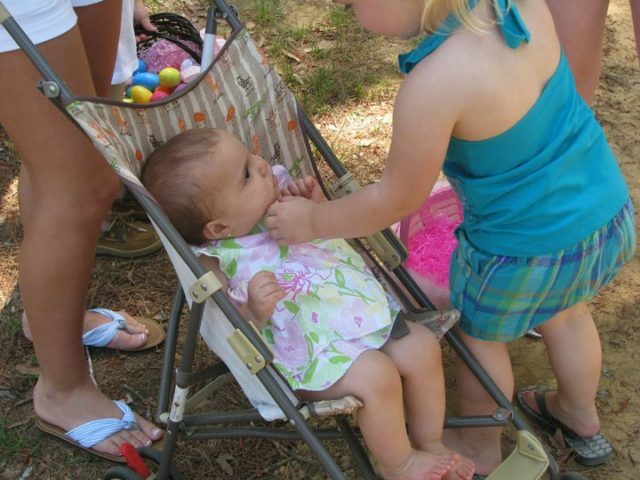 Easter is one of my favorite occasions to provide all of the “magic” for my daughter. She is 5 now and I’m not sure how long she will allow me to keep this up. For now I’m taking full advantage. I get a kick out of finding the perfect items to put in her Easter Basket. I love Gourmet Gift Baskets! 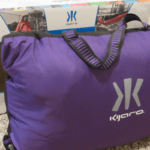 It looks like you and your family received some awesome goodies! That’s so many goodies! They all look yummy and chewy for an Easter party. I love Easter and your Peter Rabbit theme is perfect!! Great post!! We don’t go all out on Easter.my kids always look forward to Easter egg hunt and some special treats on Easter morning. Time for my favorite thing ever, Jelly Beans. Well, and spring. I love the winter but easter means summer’s on the way! Gourmet Gift Basket are awesome! They look like they put a lot of good items in it!! Delicious! Now I am wanting Easter candy. I totally agree with making family traditions as well as making memories. 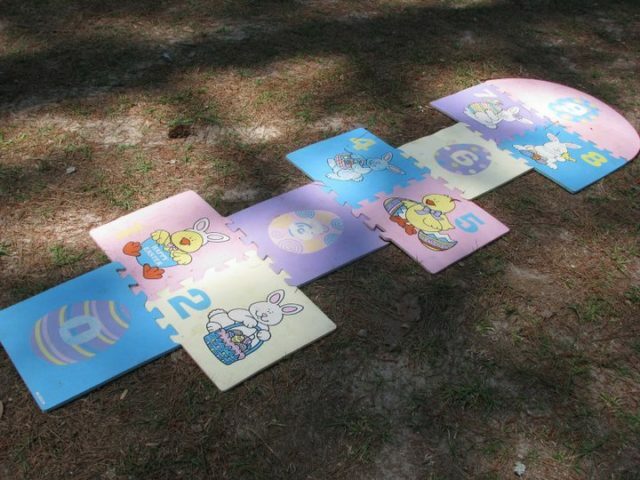 When I was a kid we did the Easter egg hunt and after church, we would go fishing with the fishing poles that we either got that year or from a previous Easter. I will say that anything chocolate is a favorite for me. Cookies and Cream Wafer Bits!! Never seen those before! They look great! The pictures were Awesome ! I agree with you, I don’t mind paying more for quality items. I usually make my baskets buy this is nice enough to send to love ones who live out of town. I lost my breath when I saw they also have ” cheesecake of the month “! I loved sending kids in my family personalized gift baskets for Easter. It’s a great tradition to keep. What a cute and yummy gift basket. I can’t believe Easter is just around the world corner. I so love all of the easter treats and baskets and springy colours during this time of the year. It’s such a nice change from the drear and drab of fall and winter! Those white chocolate cranberry cookies are my favorite. I have to hide them from my older son because he loves them too. They would certainly make a great Easter Basket treat. I have sent and received these gift baskets and I am always impressed! 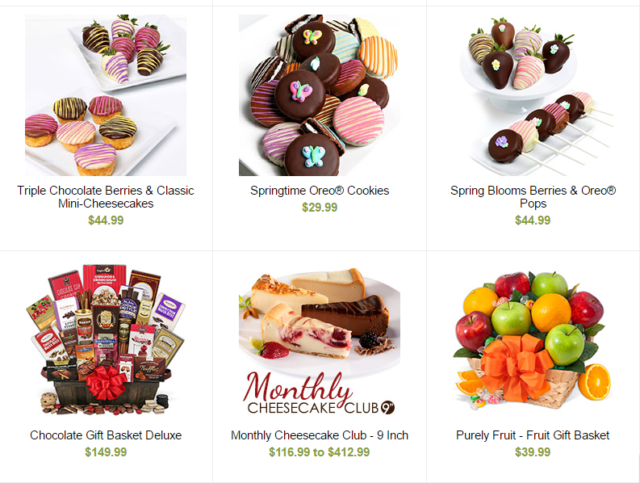 Your Easter basket looks delicious, so much great chocolate. Yum! Looks like you loaded up on some delicious treats for Easter! Everything looks incredible – and that chocolate, YUM! I have given baskets from Gourmet Gift Baskets several times. I love their selection and the prices are affordable. I really like Gourmet Gift Baskets especially their gourmet goodies. 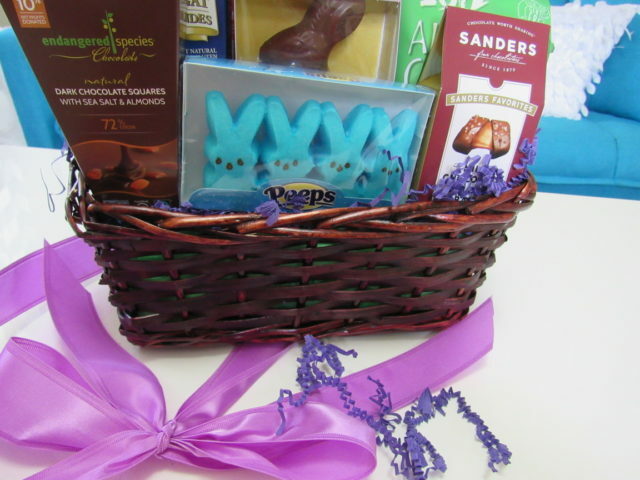 Easter is the best time of the year to send gift baskets. Love yummy gourmet food! Easter baskets are the best! I’m a huge fan of gift baskets, and Easter gifts are really just pastel colored gift baskets. Also, PEEPS! Om nom nom. I’ve never tried these gift baskets for Easter, but I really need to look into it. It is getting harder sneaking to the store and buying up Easter candy as my kids get older. MY kids are getting older and I think this is such a great idea! I love gourmet baskets and that they are pre-assembled and filled! I love this idea, what a cute gift! Easter is so much fun in my house, love it! I love Easter. This basket looks fabulous. I love that there are Peeps! I love Peeps. I LOVE gift baskets!! I would be thrilled to get a basket like this any time of the year. What fun! It looks like a perfect gift basket for Easter. 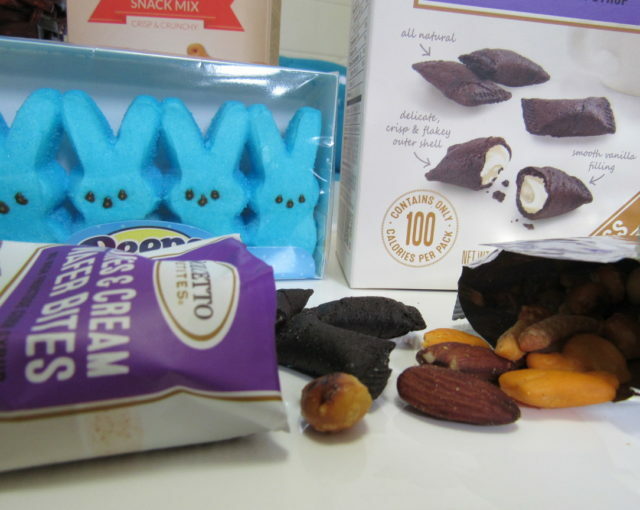 I love chocolate bunnies and Peeps! That looks like an awesome gift basket! I love chocolate bunnies and Peeps! These look like great Easter gift baskets! I’ve never sent any before but maybe this year is the time to start! I love Gournet Gift Baskets! I have gotten a few gifts from them over the years and have always been super happy! That’s a great idea Kathy. I”d like to get one for my neighbor who lives alone. Wow this is such a cute basket, would be a great gift for me to get the ladies in the office! !